Fire damage is one of the most traumatic disaster occurrences that a property owner can face. If your property has been affected by smoke or fire, Cyclone Kleen Up can assist you with handling your total property and contents restoration. Most fires leave a small portion of the home or business charred and destroyed, and a much larger portion damaged by soot, water and odor. Cyclone Kleen Up has the ability to quickly and efficiently restore fire damaged structures to their original pre-loss condition. Cyclone Kleen Up contractors have developed effective cleaning techniques, and employ the use of specialized restoration chemicals that are capable of removing smoke stains, flood debris, and other damage caused by fire and water on various types of surfaces. Contractors are also trained in the correct cleaning techniques that will remove soot coatings. With the use of the most up-to-date training and techniques available, these practices ensure that soot and other damage won’t become permanently embedded in the structure. Cyclone Kleen Up contractors work with our clients as a team to ensure that every property is returned to its pre-loss condition as quickly and efficiently as possible. 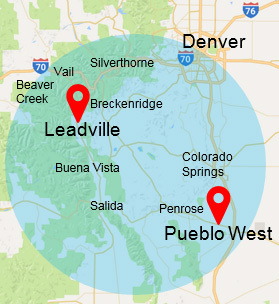 When your home and belongings in the Colorado area are damaged due to a fire, it can be a devastating and scary time for you and your family. When you trust us at Cyclone Kleen Up with restoring your damage caused by the fire, you can be sure that you are getting professional service. There are many benefits to having a professional restore any fire damage; including the professional’s ability to detect further damage that is unseen and the know-how of cleaning up after a fire. While most fire damage can be easily seen and figured out, not all of it is as easy to detect. There may be inside parts of the home or things that cannot be seen that were damaged by the fire. A professional will be able to find and explain any damage that you are unable to see. Cleaning up after a fire may seem like a simple task. It is not as simple as it seems, though. There can be different things that should be handled with care, different tools that need to be used; and special care must be taken for ventilation, especially if smoke was involved. We have the know-how to handle the situation. We use a Soda blast method, which is environmentally friendly and is the most effective way to deal with mold and fire damage. There is always residual smoke damage after a fire. Cyclone Kleen Up has developed a fire and smoke damage restoration process to repair and clean up smoke damage and remove smoke and soot odors from your structure and its ventilation system. As a complete fire damage restoration company, we offer Contents Pack-Out, Storage and Cleaning services. We have developed a sophisticated process in which we carefully recover your residential or commercial contents damaged by water, mold, smoke, and fire. Then we salvage, clean, and restore your contents. We'll then deliver the restored contents back to your property when your restoration job is complete. With our professionals performing fire restoration on your home, we are able to restore your possessions. Cyclone Kleen Up is a highly reputable company that will re-mediate all restoration work that is done after a fire damages your home. Please Contact us today or call us at 719-299-3887 and we will answer your questions immediately.